The Anointing of the Sick is given to any Catholic who is seriously ill due to accident, disease or old age. It should not be delayed until the moment when death is near. Anyone who is hospitalized or preparing for surgery should contact the parish office to make arrangements to receive this sacrament. You can also receive the sacrament before or after any weekday or weekend Mass – just see one of our priests. The sacrament may be received more than once, especially if one’s condition gets worse. The parish priests will be happy to anoint persons who are in area hospitals and nursing homes upon request. Catholic facilities operated by the Archdiocese or by religious communities usually have a full-time chaplain to administer the sacraments. 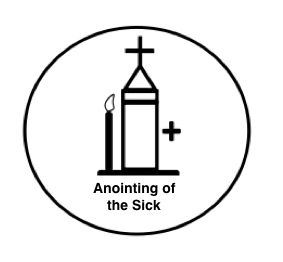 A communal celebration of the Anointing of the Sick within Mass is organized each year. Those who are visited regularly in their homes with Holy Communion will be informed of this celebration. Other persons who are seriously ill and wish to take part should contact the rectory. Resurrection church is accessible to persons with disabilities. We encourage all of our parishioners to pray for the sick and for the recently departed. A current list of names can be found in the parish bulletin.